Asghar Afghan's four-year stint as captain of the Afghanistan team across the three formats has come to an end, with the Afghanistan Cricket Board ushering in a new leadership era with Rahmat Shah, Gulbadin Naib and Rashid Khan taking charge of the Test, ODI and T20I teams respectively. Rashid, the face of Afghanistan cricket globally, will also be the vice-captain of the ODI side, while Hashmatullah Shahidi will be the deputy of the Test team, with Shafiqullah performing the role for the T20I side. 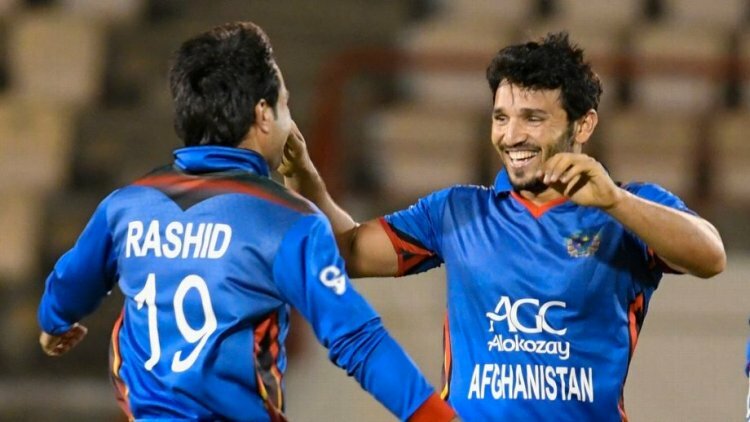 All the three new captains are under 30 - Rashid is 20, Rahmat 25 and Naib 28 - suggesting a long-term vision; Afghan turned 31 in December last year. According to Azizullah Fazli, the ACB chairman, the changes will provide opportunities to young captains, who are the future of the game in the country. He told ESPNcricinfo, "The World Cup provides us with the opportunity to play against nine Full Members. So we thought it is a good time to introduce change in leadership." Fazli stressed that Afghan would continue to be a part of the national squad as a senior player who can mentor the new captains. Afghan replaced Mohammad Nabi as the captain immediately after the 2015 World Cup. Under his captaincy, Afghanistan played 56 ODIs, 46 T20Is and two Test matches. Crucially, he led the team in its historic maiden Test match, against India in June 2018, and more recently to their first Test win, against Ireland. Two of the major architects of the victory over Ireland were Rahmat and Rashid. Rahmat cracked two match-turning half-centuries, while Rashid finished with a match haul of seven wickets including a crucial five-for in Ireland's second innings. Of the three new captains, Rashid is the only one with any major captaincy experience. He has been a part of the leadership group anyway, and led Afghanistan in four matches - they lost three of them - at the World Cup qualifiers in Zimbabwe last year while Afghan was indisposed. Rashid, currently playing in the IPL for Sunrisers Hyderabad, has also led Band-e-Amir Dragons and Kabul Zwanan 16 times in T20 cricket, with ten wins and six defeats. Rahmat, meanwhile, has no experience of leadership at first-class level, though he has led the Mis Ainak region four times in List A cricket, losing all four matches. Naib, too, is an inexperienced leader, having led on just two occasions in first-class cricket and nine times in List A cricket for two different teams - the Boost region and the Mis Ainak region.